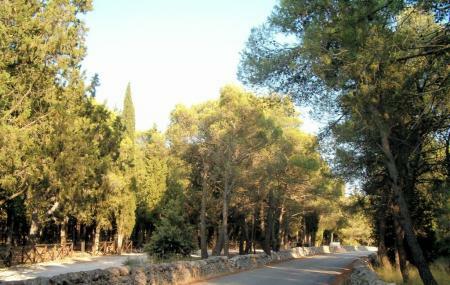 Covering a span of almost 1300 hectares, the Mercadante forest is part of the Alta Murgia Park. Interestingly this forest is artificially created as a demographic recovery of Bari, following the deforestation that was causing environmental damages in the nineteenth century. Once you are done with the urban sprawl of Bari, breathe some fresh air. Walking or cycling through this beautiful nature trail. Ideal for trekking and family picnics. The forest will delight you with animals like peacocks, rabbits, donkeys, variety of birds, etc. It also houses a restaurant where one can gorge into freshly barbequed meat while enjoying harmony with nature. Carry walking shoes, drinking water, sunscreen, cap and sunglasses. A map of the area will also be helpful in navigating. How popular is Mercadante Forest? People normally club together Roxy Bar Di Colavito Michele and Warner Village while planning their visit to Mercadante Forest. People also prefer to start their day with Mercadante Forest. Nice forest with a varied type of tracks, allowing for hikers, bikers and horses to enjoy the forest. This is a typical Mediterranean pine forest, with pines, oaks and firs. It is a great place to relax and cool off during the hot summer months. The town of Cassano nearby has stores that feature the local food, like the bread, focaccia and meats.